Grief is a normal, albeit complex, process that follows a loss of a significant person or situation in one’s life. This can involve the death of a loved one, a traumatic experience, termination of a relationship, loss of employment etc. Exactly what transpires depends upon the individual and the nature of the loss. It involves physical, emotional, psychological and cognitive processes. Not everyone grieves in the same way but there have been identified four general stages of grief, shock and denial, intense concern, despair and depression, and recovery. These are normal and healthy. But, in about 15% of people grief can be overly intense or long and therapeutic intervention may become necessary. Mindfulness practices have been found to help with coping with loss and its consequent grief. Mindfulness-Based Cognitive Therapy (MBCT) was specifically developed to treat depression. MBCT involves mindfulness training, containing sitting, walking and body scan meditations, and cognitive therapy That is designed to alter how the patient relates to the thought processes that often underlie and exacerbate psychological symptoms. This would seem to be an ideal treatment protocol to treat intense grief. In today’s Research News article “Mindfulness Improves Emotion Regulation and Executive Control on Bereaved Individuals: An fMRI Study.” (See summary below or view the full text of the study at: https://www.ncbi.nlm.nih.gov/pmc/articles/PMC6360180/ ), Huang and colleagues recruited participants who had lost a significant relative within the last 4 years and self-reported intense unresolved grief. They completed an 8-week, once a week for 2.5 hours Mindfulness-Based Cognitive Therapy (MBCT) treatment including daily, 30-40 minute, home practice. The participants were measured before and after treatment for grief, anxiety, depression, and emotion regulation. The participants also underwent 3 brain scanning sessions with functional Magnetic Resonance Imaging (fMRI). During 2 of the sessions they performed a numerical Stroop task in which they were to report which of 2 numerals was larger. In one session they were to ignore the physical size of the numeral and only report on the numerically larger numeral. In the second session they were to ignore the numerical magnitude of the numeral and only report on the physically larger numeral. This task measures cognitive interference and executive control. They found that after MBCT treatment there were large and highly significant increases in mindfulness and emotion regulation and decreases in grief, anxiety, and depression. They also found that after treatment the higher the level of mindfulness the lower the levels of grief, anxiety, and depression. In addition, the participants after treatment were significantly better at ignoring irrelevant stimuli and respond faster in the Stroop task. This suggests reduced negative emotionality and improved cognitive control. The researchers observed that after treatment during the cognitive task there was a decrease in activity in the cingulate cortex. These areas are involved in what is termed the Default Mode Network which becomes active during mind wandering and self-referential thinking. In other words, the brain areas associated with a lack of attention to the task at hand became less active. This suggests that there was greater attention to the present moment after MBCT training. Long-term intense grief can be very harmful to the psychological and physical well-being of the individual. The present findings suggest that MBCT practice may be an effective treatment. It appears to reduce the negative emotions and improve the ability to regulate them in grieving individuals. It appears to do so, by altering the brain systems associated with mind wandering. It is during mind wandering where rumination occurs that tends to exacerbate anxiety and depression. So, the brain changes produced by MBCT treatment tend to keep the individual focused on the present lowering the impact of the past on their emotional state. So, improve executive and emotional control of grief with mindfulness. The grief of bereavement is recognized as a severe psychosocial stressor that can trigger a variety of mental and physical disorders, and the long-lasting unresolved grief has a detrimental effect on brain functionality. Literature has documented mindfulness-based cognitive therapy (MBCT) as an efficient treatment for improving well-being, specifically related to the mood and cognition, in a variety of populations. However, little attention has been devoted to neural mechanisms with regard to bereaved individuals’ cognition after MBCT intervention. In this study, we recruited 23 bereaved participants who lost a significant relative within 6 months to 4 years to attend 8-week MBCT course. We used self-reporting questionnaires to measure emotion regulation and functional magnetic resonance imaging (fMRI) with the numerical Stroop task to evaluate the MBCT effect on executive control among the bereaved participants. The self-reported questionnaires showed improvements on mindfulness and reductions in grief, difficulties in emotion regulation, anxiety, and depression after the MBCT intervention. The fMRI analysis demonstrated two scenarios: (1) the activity of the fronto-parietal network slightly declined accompanied with significant improvements in the reaction time of incongruent trials; (2) the activities in the posterior cingulate cortex and thalamus were positively associated with the Texas Revised Inventory of Grief, implying emotional interferences on cognitive functions. Results indicated that MBCT facilitated the executive control function by alleviating the emotional interferences over the cognitive functions and suggested that the 8-week MBCT intervention significantly improved both executive control and emotion regulation in bereaved individuals. Obsessive-Compulsive Disorder (OCD) sufferer have repetitive anxiety producing intrusive thoughts (obsessions) that result in repetitive behaviors to reduce the anxiety (compulsions). In a typical example of OCD, the individual is concerned about germs and is unable to control the anxiety that these thoughts produce. Their solution is to engage in ritualized behaviors, such as repetitive cleaning or hand washing that for a short time relieves the anxiety. The obsessions and compulsions can become so frequent that they become a dominant theme in their lives. Hence OCD drastically reduces the quality of life and happiness of the sufferer and those around them. About 2% of the population, 3.3 million people in the U.S., are affected at some time in their life. Fortunately, OCD can be treated and Mindfulness training has been shown to be effective in treating OCD. In today’s Research News article “New-wave behavioral therapies in obsessive-compulsive disorder: Moving toward integrated behavioral therapies.” (See summary below or view the full text of the study at: https://www.ncbi.nlm.nih.gov/pmc/articles/PMC6343420/ ), Manjula and colleagues review and summarize the published research literature on new treatments for Obsessive-Compulsive Disorder (OCD). They included in their review studies involving two mindfulness treatment techniques; Mindfulness-Based Cognitive Therapy (MBCT) and Acceptance and Commitment Therapy (ACT). MBCT involves mindfulness training, containing sitting, walking and body scan meditations, and cognitive therapy That is designed to alter how the patient relates to the thought processes that often underlie and exacerbate psychological symptoms. Acceptance and Commitment Therapy (ACT) is a mindfulness-based psychotherapy technique that focuses on the individual’s thoughts, feelings, and behaviors and how they interact to impact their psychological and physical well-being. It then works to change thinking to alter the interaction and produce greater life satisfaction. ACT employs mindfulness practices to increase awareness and develop an attitude of acceptance and compassion in the presence of painful thoughts and feelings. ACT teaches individuals to “just notice”, accept and embrace private experiences and focus on behavioral responses that produce more desirable outcomes. They find that the literature reports that both MBCT and ACT are successful in treating adults and children with Obsessive-Compulsive Disorder (OCD) symptoms and produces improvements in anxiety, depression, experiential avoidance, believability, the need to respond to obsessions, obsessions, and compulsions. These benefits were found to be sustained 6 months later. But the authors caution that the studies are often performed with small numbers of participants and often have methodological problems. They conclude that the present research is promising but larger better controlled trials need to be performed especially with comparisons to other therapies for OCD that do not include mindfulness training. So, improve the symptoms of obsessive-compulsive disorder with mindfulness. Manjula, M., & Sudhir, P. M. (2019). New-wave behavioral therapies in obsessive-compulsive disorder: Moving toward integrated behavioral therapies. Indian journal of psychiatry, 61(Suppl 1), S104-S113. New-wave behavioral therapies in obsessive-compulsive disorders (OCDs) comprise of third-wave therapies and newer cognitive therapies (CTs). This review covers outcome studies published in English until December 2017. A total of forty articles on mindfulness-based CT, metacognitive therapy, acceptance and commitment therapy, and danger ideation reduction therapy in the form of single-case studies, case series, open-label trials, two-group comparison studies, and randomized controlled studies were included. Results show that studies on these therapies are limited in number. Methodological limitations including lack of active control groups, randomized controlled trials, small sample sizes, and short follow-up periods were also noted. However, the available literature demonstrates the feasibility and utility of these therapies in addressing the issues unresolved by exposure and response prevention (ERP) and cognitive behavior therapy (CBT). These therapies were often combined with traditional ERP and CBT based on the profile and response of the client; hence, it is unclear whether they can be used as standalone therapies in the larger segment of the OCD population. Supplementary use of these strategies alongside established therapies could provide better utilization of resources. In view of the need for such integration, further research is warranted. The use of sound methodologies and establishing the mechanism of action of these therapies would assist in choosing the techniques for integration. Mindfulness training has been shown through extensive research to be effective in improving physical and psychological health and particularly with the physical and psychological reactions to stress and resilience in the face of stress. The vast majority of the mindfulness training techniques, however, require a trained therapist. This results in costs that many clients can’t afford. In addition, the participants must be available to attend multiple sessions at particular scheduled times that may or may not be compatible with their busy schedules and at locations that may not be convenient. As an alternative, Apps for smartphones have been developed. These have tremendous advantages in decreasing costs, making training schedules much more flexible, and eliminating the need to go repeatedly to specific locations. But the question arises as to the effectiveness of these Apps in inducing mindfulness and improving psychological health. In today’s Research News article “). Effects of a Mindfulness Meditation App on Subjective Well-Being: Active Randomized Controlled Trial and Experience Sampling Study.” (See summary below or view the full text of the study at: https://www.ncbi.nlm.nih.gov/pmc/articles/PMC6329416/ ), Walsh and colleagues recruited undergraduate students and randomly assigned them to practice with one of two smartphone apps, “Wildflowers” Mindfulness Training or “2048” Cognitive Training, for 10 minutes per day for three weeks. “2048” is described as “fun and relaxing puzzle game”. “Wildflowers” involves a variety of meditation trainings. “Ratings of current mood, stress level, and heart rate were recorded within each app before and after each training session.” Also, before and after the 3 weeks of training with the Apps the participants completed online measures of perceived stress, personality, well-being, psychological inflexibility, experiential avoidance, mindfulness, interoceptive awareness, spirituality, meaning in life, attentional control, interoceptive attention, and positive and negative mood. They found that in comparison to the before session mood and the cognitive training group, after the session the participants who engaged in mindfulness training had significantly improved mood and reduced perceived stress. Hence, on the short term, engagement with the mindfulness app improved the emotional state of the participants. They also found that both groups significantly improved over the 3 weeks of training on awareness and self-acceptance. The mindfulness training group, however, had significantly greater improvement in self-acceptance. In addition, the mindfulness training group had a significant improvement in attentional control, specifically increased ability to deal with conflicts for attention. This may be particularly helpful for the academic ability of college students. Hence on the longer term, engaging with the mindfulness app results in improved attentional ability and self-acceptance. This research is well structured as the control, comparison, condition involved an equivalent amount of practice, time commitment, and expectation of benefit. So, the findings can be viewed as solid. The study, however, lacks a follow-up to determine if the effects are lasting or fleeting. 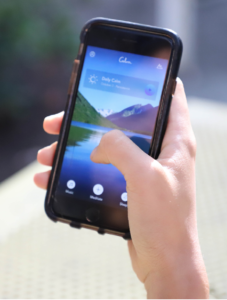 The results though demonstrate that engaging in mindfulness practices with a smartphone produces short-term benefits for the individual’s emotional and psychological state and attentional ability. These are substantial benefits for a 10 minute per day investment of time. The low cost, scalability, flexibility, and convenience of training using a smartphone make it an important advance in mindfulness training. 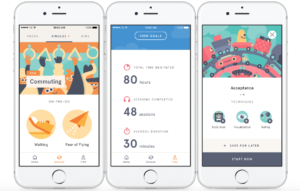 So, improve psychological well-being with a smartphone mindfulness app. Mindfulness training (MT) includes a variety of contemplative practices aimed at promoting intentional awareness of experience, coupled with attitudes of nonjudgment and curiosity. Following the success of 8-week, manualized group interventions, MT has been implemented in a variety of modalities, including smartphone apps that seek to replicate the success of group interventions. However, although smartphone apps are scalable and accessible to a wider swath of population, their benefits remain largely untested. This study aimed to investigate a newly developed MT app called Wildflowers, which was codeveloped with the laboratory for use in mindfulness research. It was hypothesized that 3 weeks of MT through this app would improve subjective well-being, attentional control, and interoceptive integration, albeit with weaker effects than those published in the 8 week, manualized group intervention literature. Undergraduate students completed 3 weeks of MT with Wildflowers (n=45) or 3 weeks of cognitive training with a game called 2048 (n=41). State training effects were assessed through pre- and postsession ratings of current mood, stress level, and heart rate. Trait training effects were assessed through pre- and postintervention questionnaires canvassing subjective well-being and behavioral task measures of attentional control and interoceptive integration. State and trait training data were analyzed in a multilevel model using emergent latent factors (acceptance, awareness, and openness) to summarize the trait questionnaire battery. Analyses revealed both state and trait effects specific to MT; participants engaging in MT demonstrated improved mood (r=.14) and a reduction of stress (r=−.13) immediately after each training session compared with before the training session and decreased postsession stress over 3 weeks (r=−.08). In addition, MT relative to cognitive training resulted in greater improvements in attentional control (r=−.24). Interestingly, both groups demonstrated increased subjective ratings of awareness (r=.28) and acceptance (r=.23) from pre- to postintervention, with greater changes in acceptance for the MT group trending (r=.21). MT, using a smartphone app, may provide immediate effects on mood and stress while also providing long-term benefits for attentional control. Although further investigation is warranted, there is evidence that with continued usage, MT via a smartphone app may provide long-term benefits in changing how one relates to their inner and outer experiences. There is a tremendous demand for caregiving in the U.S. It is estimated that over 65 million (29% of the adult population) provides care to someone who is mentally or physically ill, disabled or aged, averaging 20 hours per week spent caring for their loved ones. This caregiving comes at a cost to the caregiver. It exacts a tremendous toll on caregivers’ health and well-being. Caregiving has been associated with increased levels of depression and anxiety as well as higher use of psychoactive medications, poorer self-reported physical health, compromised immune function, and increased mortality. Family members are an increasingly important source of caregiving. But it comes with a cost to the caregiver. Mindfulness training has been shown to be beneficial for both the caregiver and the patients. So, mindfulness training may be helpful in decreasing the psychological difficulty of caring for a patient with cancer. In today’s Research News article “Mindful Learning Improves Positive Feelings of Cancer Patients’ Family Caregivers.” (See summary below or view the full text of the study at: https://www.ncbi.nlm.nih.gov/pmc/articles/PMC6352041/ ), Geng and colleagues recruited caregivers for cancer patients and randomly assigned them to receive either 4, 30-minute, mindfulness training sessions or mindlessness training. The mindfulness training involved “innovation classification” in which they were asked to “think and write four answers from different perspectives to a picture-related question.” The mindlessness condition involved writing answers to the same pictures but from only one perspective. They were measured before and after training for mindfulness, caregiver reactions, and positive aspects of caregiving. They found in comparison to baseline and the mindlessness group, that after training the mindfulness group had significantly higher mindfulness and positive feelings toward caregiving. In addition, the higher the levels of mindfulness, the greater the positive feelings toward caregiving. These results suggest that a simple form of mindfulness training can improve caregiver’s mindfulness and feeling about caregiving for cancer patients. It remains for future research to demonstrate if these benefits are lasting and can result in improved care for the patients and less stress and burnout for the caregivers. So, increase positive feelings about caregiving for cancer patients with mindfulness. Positive feelings are an important health dimension for family caregivers of cancer patients. The aim of this study was to investigate whether Langerian mindfulness is a valid proactive method to increase the positive feelings of family caregivers for cancer patients. Participants were randomly assigned to either a mindfulness group or a mindlessness group and completed the Caregiver Reaction Assessment (CRA) as a measure of caregivers’ feelings before the intervention. Subsequently, both groups were given four sessions of mindfulness training using “innovation classification”. Finally, participants completed the Langer Mindfulness Scale (LMS) and the Positive Aspects of Caregiving (PAC) scale as post-intervention measures. The results revealed that participants in the mindfulness and mindlessness groups differed significantly in LMS and PAC scores, with the mindfulness group having higher levels of positive feelings than those in the mindlessness group. The results also indicated that mindfulness level significantly predicted positive feelings of caregivers. Thus mindful interventions may play a meaningful role in promoting family caregivers’ spirituality and faith, improving the willingness of sharing their thoughts, beliefs, and grief, which could be useful for increasing the positive feelings of caregivers. Receiving a diagnosis of cancer has a huge impact on most people. Feelings of depression, anxiety, and fear are very common and are normal responses to this life-changing and potentially life-ending experience. But cancer diagnosis is not necessarily a death sentence. Over half of the people diagnosed with cancer are still alive 10 years later and this number is rapidly increasing. 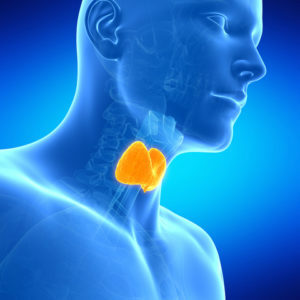 In the case of Thyroid cancer that number is over 95%. But, surviving cancer carries with it a number of problems. Anxiety, depression, fatigue and insomnia and reduced quality of life are common symptoms in the aftermath of surviving cancer. Mindfulness training has been shown to help with cancer recovery and help to alleviate many of the residual physical and psychological symptoms, including fatigue, stress, sleep disturbance, and anxiety and depression. In today’s Research News article “Mindfulness-based stress reduction in patients with differentiated thyroid cancer receiving radioactive iodine therapy: a randomized controlled trial.” (See summary below or view the full text of the study at: https://www.ncbi.nlm.nih.gov/pmc/articles/PMC6324610/ ), Liu and colleagues recruited patients with Thyroid cancer who were receiving radioactive iodine treatment and randomly assigned them to either a usual care control condition or to receive a Mindfulness-Based Stress Reduction (MBSR) treatment. The MBSR program consists of 8 weekly 2-hour group sessions involving meditation, yoga, body scan, and discussion. The patients are also encouraged to perform daily practice for 15-45 minutes. They were measured before and after treatment and 3 months later for cancer specific quality of life, depression, and anxiety. They found that in comparison to baseline and the treatment as usual control group, the patients who participated in MBSR treatment had significantly improved overall cancer specific quality of life, including emotional function and fatigue, and they reported significantly lower levels of anxiety and depression. Importantly, these improvements were still present and significant 3 months after the conclusion of treatment. These are impressive results that suggest that mindfulness training produces significant and lasting benefits for the psychological well-being of Thyroid cancer patients. These patients have a lot to deal with in fighting their disease. The improvements in psychological well-being are important producing relief of one aspect of cancer so that the patient can better focus on the physical side. These results add Thyroid cancer patients to the growing list of cancer patients helped by mindfulness training. So, improve the psychological health of thyroid cancer patients with mindfulness. The aim of this study was to evaluate the efficacy of mindfulness-based stress reduction (MBSR) on health-related quality of life (QoL), depression, and anxiety in patients with differentiated thyroid cancer (DTC) receiving radioactive iodine therapy (RIT). A randomized controlled trial of MBSR with 120 DTC patients was performed. They were randomly assigned into the MBSR intervention group and usual care (UC) group. An 8-week MBSR program was administered to the MBSR group starting 8 weeks before RIT. Health-related QoL, depression, and anxiety were measured immediately before the start of MBSR (T1), immediately after RIT hospitalization was concluded (1 week after concluding the last MBSR session, T2), and 3 months after RIT hospitalization (T3), using the QoL Questionnaire Core 30 Items (QLQ-C30), Self-rating Depression Scale (SDS), and Self-rating Anxiety Scale (SAS). Fifty-three patients in the UC group and 49 patients in the MBSR group completed the study and were analyzed. Both the UC and MBSR groups reported low QoL and high SDS and SAS scores immediately after RIT hospitalization. Patients randomly assigned to the MBSR group showed significantly greater improvements in emotional function (P=0.012, d=–0.03 for T2 and d=1.17 for T3), fatigue (P=0.037, d=1.00 for T2 and d=–0.69 for T3), global QoL (P=0.015, d=1.61 for T2 and d=1.56 for T3), depression (P=0.027, d=–1.19 for T2 and d=–0.83 for T3), and anxiety (P=0.043, d=–1.00 for T2 and d=–0.86 for T3). An 8-week MBSR program significantly improved a wide range of scales in health-related QoL and mitigated depression and anxiety among DTC patients receiving RIT. The aging process involves a systematic progressive decline in every system in the body, the brain included. This includes our mental abilities which decline with age including impairments in memory, attention, and problem-solving ability. It is inevitable and cannot be avoided. Using modern neuroimaging techniques, scientists have been able to view the changes that occur in the nervous system with aging. In addition, they have been able to investigate various techniques that might slow the process of neurodegeneration that accompanies normal aging. They’ve found that mindfulness practices reduce the deterioration of the brain that occurs with aging restraining the loss of neural tissue. Indeed, the brains of practitioners of meditation and yoga have been found to degenerate less with aging than non-practitioners. 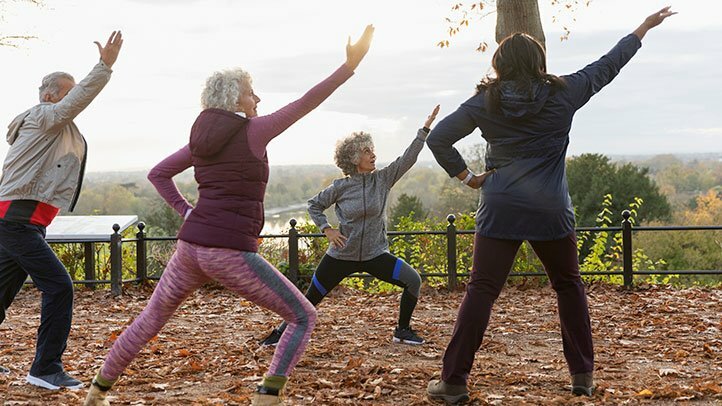 Tai Chi and Qigong have also been shown to be beneficial in slowing or delaying physical and mental decline with aging and to increase brain matter in the elderly. 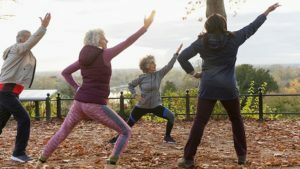 In today’s Research News article “Long-Term Tai Chi Experience Promotes Emotional Stability and Slows Gray Matter Atrophy for Elders.” (See summary below or view the full text of the study at: https://www.frontiersin.org/articles/10.3389/fpsyg.2019.00091/full?utm_source=F-AAE&utm_medium=EMLF&utm_campaign=MRK_907099_69_Psycho_20190212_arts_A ), Liu and colleagues recruited older (60 to 70 years of age) adults who had been practicing Tai Chi for at least 10 years and control participants who were matched to the Tai Chi group on age, physical activity and gender. They were measured for mindfulness, depression, impulsivity, and personality. They also underwent brain scanning with Magnetic Resonance Imaging (MRI). The participants also completed a computerized risk-taking task which had both positive or negative outcomes. They completed emotion ratings after each outcome. They found that the experienced Tai Chi practitioners had significantly greater emotional stability and took less risks than the control group. Additionally, the Tai Chi group had significantly stronger emotional reactions to both good and bad outcomes in the risk-taking task. The brain scans revealed that the Tai Chi group had significantly greater grey matter in the areas of the brain known as the hippocampus and the thalamus. They also found that the greater the grey matter in the thalamus the greater the levels of mindfulness and emotional stability while the greater the grey matter in the hippocampus the greater the levels of emotional stability and lower levels of neuroticism and risk taking. These are interesting results but the study is correlational and cross sectional. So, care must be exercised in interpretation of causation. But the fact that the control group was equally physically active as the Tai Chi group is a strength that suggests that the results were due to Tai Chi practice per se and not just to the physical activity produced by Tai Chi practice. The results suggest that Tai Chi practice may help to protect the brain, particularly the thalamus and hippocampus, from age-related degeneration as has been previously reported, and this protection may be associated with greater emotional stability and lower risk taking. The findings of less risk taking of the elderly Tai Chi participants may be an important observation. The elderly may be vulnerable to injury and falls that can produce serious injuries in this group. One reason that Tai Chi may produce fewer falls in the elderly is that they are being more careful and taking fewer risks. The elderly are also financially vulnerable and may benefit from less financial risk taking in protecting their available resources. So, protect the brain from age-related atrophy with Tai Chi. In today’s Research News article “The Effects of Mindfulness Training on Emotional Health in Chinese Long-Term Male Prison Inmates.” (See summary below or view the full text of the study at: https://www.ncbi.nlm.nih.gov/pmc/articles/PMC6345534/ ), Xu and colleagues recruited healthy prisoners and randomly assigned them to either a wait-list control condition or to receive a 6-week program of a modified version of Mindfulness-Based Cognitive Therapy (MBCT). It was modified by replacing depression discussions with yoga practice. 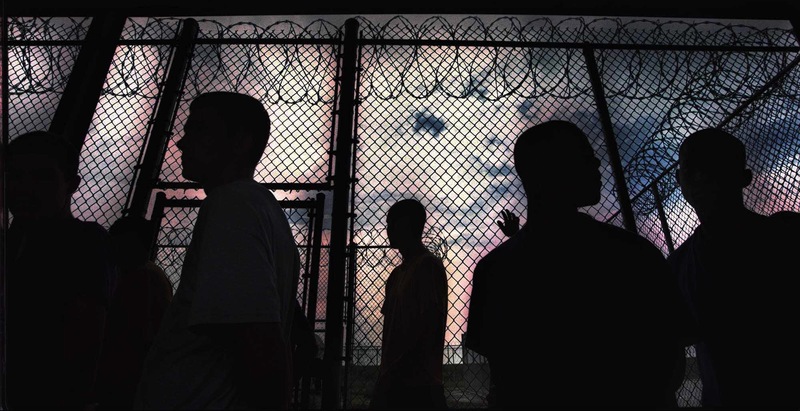 MBCT training occurred once a week for 2.5 hours and included practice on the prisoners own time. The mindfulness training involved sitting, walking and body scan meditations, and cognitive therapy that is designed to alter how the patient relates to the thought processes that often underlie and exacerbate psychological symptoms. The prisoners were measured before and after training for anxiety, depression, mindfulness, and mood. They found that at the time of pretest the higher the prisoner’s level of mindfulness the lower their levels of anxiety, depression, tension-anxiety, depression-dejection, anger-hostility, confusion-bewilderment, and total mood disturbance. They also found that in comparison to baseline and the wait-list control group the mindfulness training group had significant improvements in mindfulness, anxiety, depression, tension-anxiety, depression-dejection, anger-hostility, confusion-bewilderment, or total mood disturbance. These are interesting results that suggest that Mindfulness-Based Cognitive Therapy (MBCT) significantly improve the mental health of prisoners. This is important as better mental health may lead to better adjustment to life in prison and to life after release. This may lead to lower recidivism. So, improve prisoner mental health with mindfulness. Xu, W., Jia, K., Liu, X., & Hofmann, S. G. (2016). The Effects of Mindfulness Training on Emotional Health in Chinese Long-Term Male Prison Inmates. Mindfulness, 7(5), 1044-1051. Long-term imprisonment can cause severe emotional problems, which in turn can trigger behavioral problems, self-harm, and suicide. Mindfulness-based intervention can enhance emotional health. This study investigated the effects of a 6-week mindfulness training program on the emotional health of long-term male Chinese prison inmates. Forty long-term male prisoners completed a pretest and posttest, with 19 in the mindfulness training group and 21 in the waitlist control group. The treatment group showed a significant improvement in mindfulness level, anxiety, depression, tension-anxiety, depression-dejection, anger-hostility, confusion-bewilderment, and total mood disturbance. Implications and limitations of this study were discussed. These results support the use of a mindfulness-based intervention to enhance the emotional health of long-term male prison inmates. Mindfulness training has been shown through extensive research to be effective in improving physical and psychological health and particularly with the physical and psychological reactions to stress and resilience in the face of stress. The vast majority of the mindfulness training techniques, however, require a certified trained therapist. This results in costs that many clients can’t afford. In addition, the participants must be available to attend multiple sessions at particular scheduled times that may or may not be compatible with their busy schedules and at locations that may not be convenient. As an alternative, Apps for smartphones have been developed. These have tremendous advantages in decreasing costs, making training schedules much more flexible, and eliminating the need to go repeatedly to specific locations. But the question arises as to the effectiveness of these Apps in inducing mindfulness and improving psychological health. In today’s Research News article “The efficacy of a brief app-based mindfulness intervention on psychosocial outcomes in healthy adults: A pilot randomised controlled trial.” (See summary below or view the full text of the study at: https://www.ncbi.nlm.nih.gov/pmc/articles/PMC6312207/ ), Champion and colleagues recruited over the internet healthy adults who were not mindfulness practitioners and randomly assigned them to either a wait-list control condition or to receive mindfulness training via a smartphone app (Headspace). They practiced once a day for 10 minutes for 30 days. “The program is intended to introduce the key principles behind mindfulness, and how one can apply mindfulness to their daily life, using technique such as breath awareness, body scanning, and noting. . . The audio content is supplemented with educational videos and animations.” The participants completed questionnaires over the internet measuring general health, satisfaction with life, perceived stress, resilience, and engagement and experience with the app. They found in comparison to baseline and to the wait-list controls that the participants who used the app had significant improvements in satisfaction with life, perceived stress, and resilience. The increases in psychological health were greatest between baseline and day 10 of practice but continued to increase over the next 20 days. This suggests that the benefits are available relatively rapidly but continued practice produces greater benefits. It remains to be determined whether these effects are enduring or are only present in the immediate aftermath of training. These effects of mindfulness training are well established. This study adds to the accumulating evidence of the effectiveness of mindfulness training over the internet or with smartphone apps. The present study demonstrates that a widely available commercial smartphone app is also effective. This is important as it suggests that training in mindfulness can be made widely and inexpensively available without the presence of a trained therapist and at the convenience of the participant. This may allow for the benefits of mindfulness practice to spread far and wide to tremendous numbers of people. In this regard the Headspace app has already been downloaded 30 million times. Previous evidence suggests that mindfulness training may improve aspects of psychosocial well-being. Whilst mindfulness is traditionally taught in person, consumers are increasingly turning to mindfulness-based smartphone apps as an alternative delivery medium for training. Despite this growing trend, few studies have explored whether mindfulness delivered via a smartphone app can enhance psychosocial well-being within the general public. 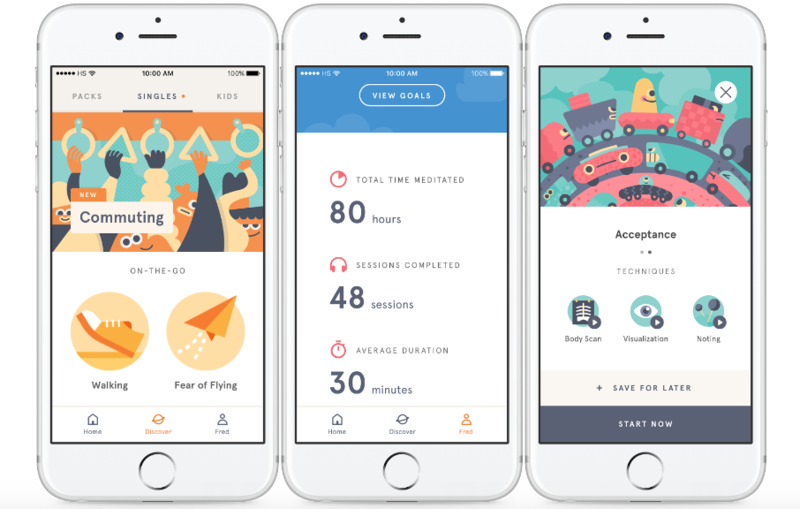 The present pilot randomised controlled trial compared the impact of engaging with the self-guided mindfulness meditation (MM) app ‘Headspace’ (n = 38) for a period of 10 or 30 days, to a wait-list (WL) control (n = 36), using a cohort of adults from the general population. The Satisfaction with Life Scale, Perceived Stress Scale, and Wagnild Resilience Scale were administered online at baseline and after 10 and 30 days of the intervention. Twelve participants (MM n = 9, WL n = 3) were lost to follow-up for unknown reasons. Relative to the WL control, the MM app positively impacted self-reported satisfaction with life, stress, and resilience at day 10, with further improvements emerging at day 30 (Cohen’s d = 0.57, 1.42, 0.63 respectively). The rate of improvement was largest at the 10-day assessment point, dropping moderately by day 30. Participants that rated the MM app as easy to engage with experienced the largest self-reported benefits. Moreover, the MM app was able to protect against an unexpected increase in perceived stress that emerged in the control group. This pilot randomised controlled trial shows that self-reported improvements in psychosocial outcomes can be achieved at low cost through short-term engagement with a mindfulness-based smartphone app, and should be followed up with more substantive studies. Breathing is essential for life and generally occurs automatically. It’s easy to take for granted as it’s been there our entire lives. Nevertheless, we become more aware of it when it varies with circumstances, such as when we exercise and also in emotional states, especially fear and anxiety. But we rarely notice it during everyday ongoing life. Yet, its characteristics are associated with our state of well-being. Slow deep breathing is characteristic of a healthy relaxed state. Breathing exercises are common in yoga practices and have been found to have a number of beneficial effects. Yoga practice contains a number of different components that are mixed in varying combinations in different yoga practices. They consist of postures, meditation, relaxation, breathing exercises, and chanting. This presents a challenge in interpreting the beneficial effects of yoga practice. It is difficult to determine which component or which combination of components is required for the benefits. In today’s Research News article “Positive Effects of Yoga on Physical and Respiratory Functions in Healthy Inactive Middle-Aged People.” (See summary below or view the full text of the study at: https://www.ncbi.nlm.nih.gov/pmc/articles/PMC6329219/ ), and colleagues examine the effects of yogic postures and the added benefits of yogic breathing in improving respiratory function in healthy inactive middle-aged people. They recruited inactive non-smoking adults aged 40 to 60 years who were not yoga practitioners and randomly assigned them to receive either training in yoga postures or training in yoga postures plus yogic breathing training. Training occurred in a 70-minute session once a week for 8 weeks. Participants were also provided a DVD for a 7-minute home exercises twice a week. They were measured before and after training for body size and composition, muscle endurance, resting heart rate, flexibility, respiratory function, and respiratory muscle strength. They found both groups after training had significant improvements in muscle endurance, resting heart rate, and upper extremity flexibility. But only the group that had additional breathing exercises had significant improvements in lower extremity flexibility. Both groups had significant improvements in overall pulmonary function, including vital capacity, forced vital capacity, forced expiratory volume, and peak expiratory flow rate. But only the group that had additional breathing exercises had significant improvements in respiratory muscle strength and maximum inspiratory pressure. The results demonstrated that yoga practice produces improvements in strength and flexibility and in respiratory function. But, adding breathing exercises produces additional benefits in flexibility and respiratory function. The study did not include a control group that performed a different exercise with equivalent intensity. So, it can’t be determined whether the physical improvements were specific to yoga or would have occurred with any equivalent exercise. But they do suggest that practicing yoga has physical benefits for strength, flexibility, and respiratory function, and including yogic breathing exercises helps to maximize the effectiveness of the yoga practice. So, improve physical and respiratory function with yoga. Yamamoto-Morimoto, K., Horibe, S., Takao, R., & Anami, K. (2019). Positive Effects of Yoga on Physical and Respiratory Functions in Healthy Inactive Middle-Aged People. International journal of yoga, 12(1), 62-67. Yoga improves physical and respiratory functions in healthy inactive middle-aged people. This study aimed to assess the effects of 8 weeks of asana and asana with pranayama lessons in order to clarify the influence of two different combinations of yoga practice on physical and respiratory functions in healthy inactive middle-aged people. A total of 28 participants (mean age: 52.7 years) were divided into a yoga asana (YA) group and YA with pranayama (YAP) group. Participants attended a 70-min session once a week for 8 weeks. The YA group practiced basic asana without specific breathing instructions, while the YAP group practiced basic asanawith specific breathing instructions (pranayama). Respiratory function was measured with an autospirometer. Physical function assessments included the 30-s chair stand test and upper and lower extremity flexibility. All tests were assessed at baseline and after 8 weeks of intervention. Changes in scores were analyzed with the paired t-test for each group. Pre-post results were compared for all the measured values. P < 0.05 was considered statistically significant. Both groups showed significant improvements in physical and overall respiratory functions after the 8-week yoga intervention. However, the maximal inspiratory pressure and lower extremity flexibility improved only in the YAP group. The 8-week yoga intervention for healthy inactive middle-aged people improved the overall respiratory and physical functions, and the inclusion of pranayama had the added benefit of improving inspiratory muscle strength and global body flexibility. There has accumulated a large amount of research demonstrating that mindfulness has significant benefits for psychological, physical, and spiritual wellbeing. One way that mindfulness practices may produce these benefits is by altering the brain. The nervous system is a dynamic entity, constantly changing and adapting to the environment. It will change size, activity, and connectivity in response to experience. These changes in the brain are called neuroplasticity. 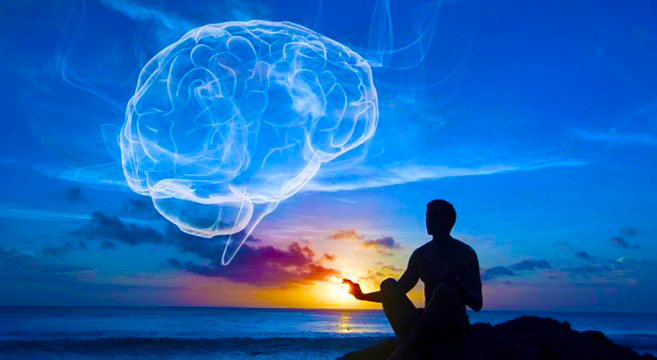 Over the last decade neuroscience has been studying the effects of contemplative practices on the brain and has identified neuroplastic changes in widespread areas. In other words, mindfulness practice appears to mold and change the brain, producing psychological, physical, and spiritual benefits. In today’s Research News article “Short‐term Sahaja Yoga meditation training modulates brain structure and spontaneous activity in the executive control network.” (See summary below or view the full text of the study at: https://www.ncbi.nlm.nih.gov/pmc/articles/PMC6346416/pdf/BRB3-9-e01159.pdf ), Dodich and colleagues recruited meditation naïve college students and randomly assigned them to either a wait-list control condition or to receive 1-hour Sahaja yoga meditation practice 4 times per week for 4 weeks. Sahaja yoga meditation is an open monitoring meditation technique designed to produce mental silence. The participants underwent brain scans with functional Magnetic Resonance Imaging (fMRI) before and after the 4 weeks of meditation training. They found that in comparison to baseline and the wait-list controls, the participants who received meditation training and practice had significant increases in the brain grey matter density in the inferior frontal gyrus. They also found that the greater the grey matter density the greater the self-reported well-being by the meditation participants. The inferior frontal gyrus is known to be involved in attention, self-control, and self-awareness. These are exactly the skills trained in meditation practice. This suggests that this relatively short-term practice produces neuroplastic changes in the brain expanding the brain matter in the regions underlying the trained skills and this is associated with improved well-being. So, change the brain for greater well-being with meditation. Abstract Introduction: While cross‐sectional studies have shown neural changes in long‐term meditators, they might be confounded by self‐selection and potential baseline differences between meditators and non meditators. Prospective longitudinal studies of the effects of meditation in naïve subjects are more conclusive with respect to causal inferences, but related evidence is so far limited. Methods: Here, we assessed the effects of a 4‐week Sahaja Yoga meditation training on gray matter density and spontaneous resting‐state brain activity in a group of 12 meditation‐naïve healthy adults. Results: Compared with 30 control subjects, the participants to meditation training showed increased gray matter density and changes in the coherence of intrinsic brain activity in two adjacent regions of the right inferior frontal gyrus encompassing the anterior component of the executive control network. Both these measures correlated with self‐reported well‐being scores in the meditation group. 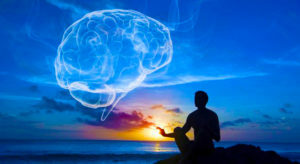 Conclusions: The significant impact of a brief meditation training on brain regions associated with attention, self‐control, and self‐awareness may reflect the engagement of cognitive control skills in searching for a state of mental silence, a distinctive feature of Sahaja Yoga meditation. The manifold implications of these findings involve both managerial and rehabilitative settings concerned with well‐being and emotional state in normal and pathological conditions.